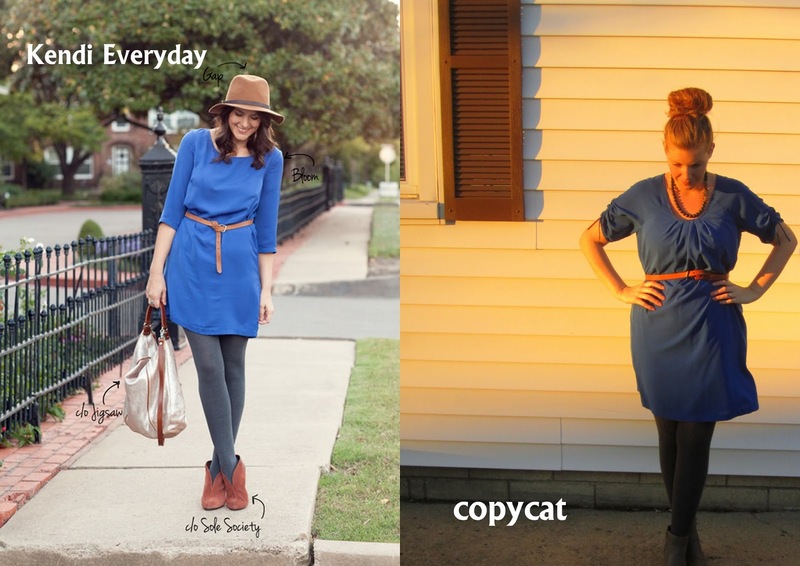 It’s finally Thursday and our first official Copycat linkup. We couldn’t be more excited. I’m might even be giddy. I ‘ve probably mentioned how much I love Kendi Everyday before. She’s super cute and has totally accessible style (from my humble opinion). I had this picture pinned to my Pinterest board the day she posted it and it didn’t take long for me to recreate it. I had everything in my closet already. The only thing I’d do differently now is wear more patterened tights. The ones I’m wearing are a dark gray and I have some gray/white/black ones that I think would have stood out more–which I think my outfit needed. Kendi, thanks for the inspiration once again. You, my pretend internet friend, are one stylish lady. i love kendi’s outfits! and you copied it perfectly!